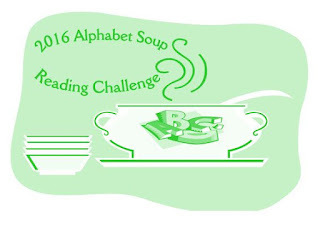 Bloggin' 'bout Books: So What If I Haven't Actually Completed a Reading Challenge In Years? I'm In! So What If I Haven't Actually Completed a Reading Challenge In Years? I'm In! 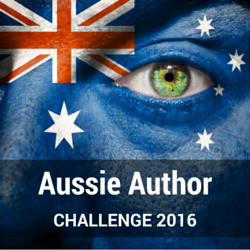 Hosted by BookloverBookReviews.com, the Aussie Author Challenge celebrates writers from The Land Down Under. I've recently discovered several fabulous Aussie authors, so I thought this would be a fun way to find more. I'm going for the Wallaroo level, which requires that I read 6 books by Australian writers—at least two must be female, at least two must be male, at least two must be new-to-me authors, and the books must be in at least two different genres. Okey dokey! Dang it, Susan! I never join any reading challenges but the Aussie author one intrigues me. I think Aussie authors are awesome. Now I'm tempted. A very warm welcome to the Aussie Author Challenge Susan. Great selections on your reading list - I've personally enjoyed those Moriarty, Simsion and Courtenay novels, and you can't go past the writing of Zusak and Flanagan (other titles of theirs being amongst my favourites) - enjoy! Thanks, Joanne! I'm excited to be doing the challenge. I always think that the fun bit about challenges is the journey, not whether you actually arrive at your destination. LOL. I was going to recommend Bill Bryson's Down Under for your Aussie challenge but I see the authors have to be Australian. That's a shame as his is the best book I've ever read about the country. I totally agree, especially since I almost never arrive at the destination. Ha ha. I'll definitely try to pick up Bryson's book, even if it doesn't fit into the challenge. Thanks for recommending!